Street pole light box can be mounted the light poles of a certain street and create a scale effect in the area for road guide, advertising promotion and so on. Just imagine, what a big visual shock to audiences it is if dozens or hundreds of light pole are some graphic dipslay. It absolutely will enhance the audiences memory about the ads, that’s to say light pole led light box can be as excellent as a big outdoor led display. 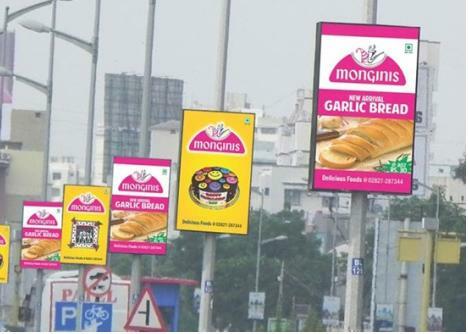 1: Double side pole light box provide 2 side advertising . 3 Energy saving , power consumption lower..
4. LED backlit strip solution keep long life more than 3 years. 6. It is strong enough to use in the outdoor environment, even the bad weather. 1. 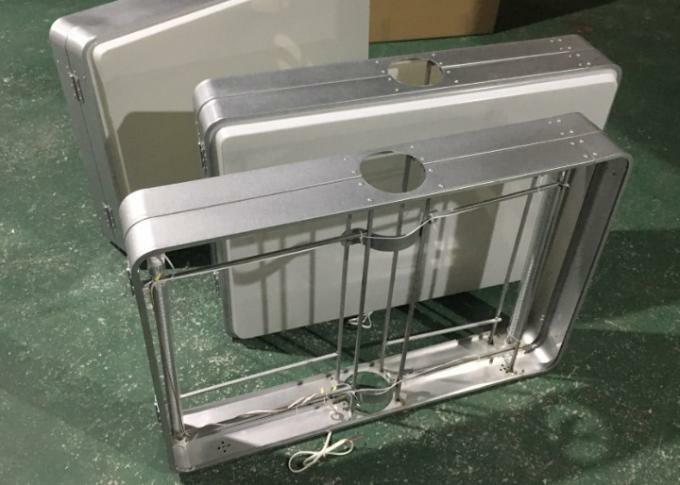 Our aluminum frame designed with waterproof parts, frame is big and thick enough for outdoor use. 2. We use alumina welding technic to connect each side , this technic will also help the whole lightbox from water. Normally light box will have connect parts among corner , and there will be a gap at the corner. But in our welding technic,we welding frame corner inside , so this will make no gap and stop water well outside. 3. Inside the frame , we also have waterproof belt to help avoid the water. 4. LEDs & power supply are waterproof, IP67 certification. 5. Our products with CE , UL Certification which could prove our quality. 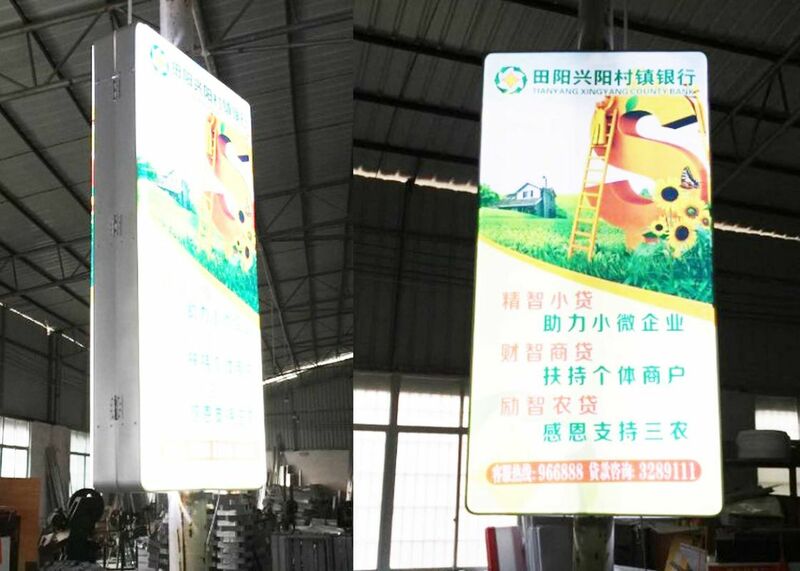 Advertising for Street Pole Pole , replacement for Street banner bracket.